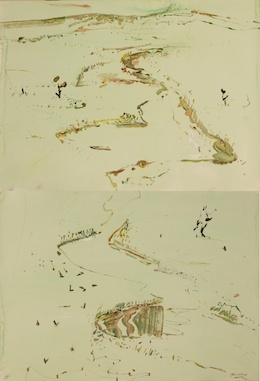 A number of delicate gouaches on paper by John R Walker feature in 'Drawing Out: Dobell Australian Drawing Biennial', curated by Anne Ryan at the Art Gallery of New South Wales. The exhibition runs from 21 November 2014 until 26 January 2015. 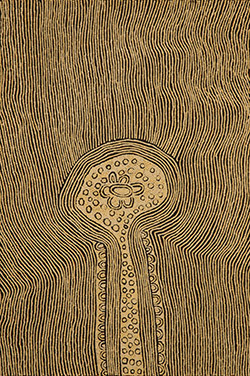 Papunya Tula artists Warlimpirrnga Tjapaltjarri and Yukultji Napangati were amongst the Pintupi family group who first entered the community of Kiwirrkura in 1984. Prior to this, the group had lived a traditional desert life, without any contact with European settlers. 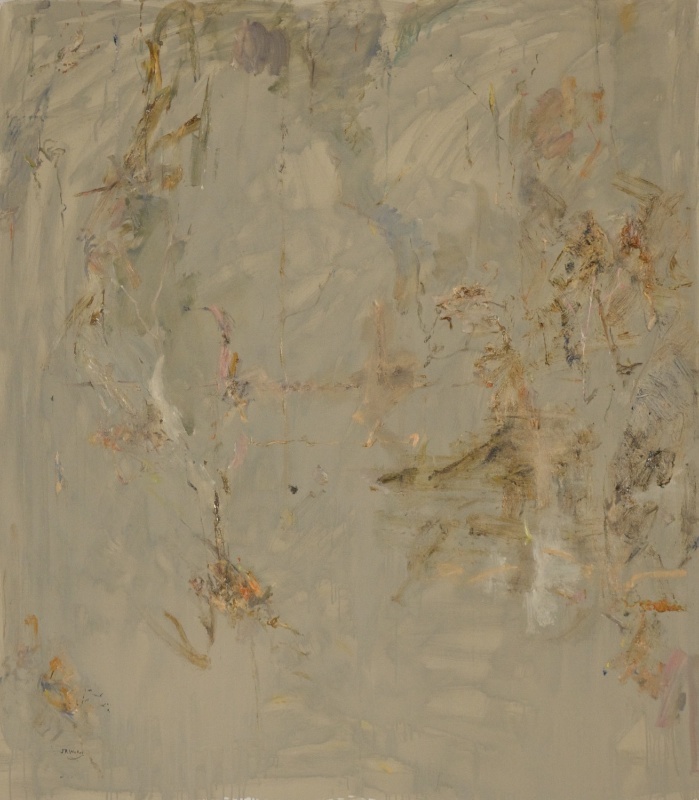 Look out for Helen Eager's vibrant painting at ‘Five Decades of Watters', a celebration of the 50th anniversary of Watters Gallery at the S.H. Ervin Gallery until 2 November. 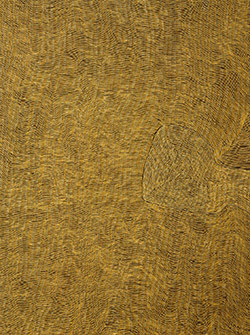 The Art Gallery of New South Wales has recently acquired a major canvas by Yukultji Napangati from her solo exhibition with us earlier this year. A sumptuos new tapestry by Craigie Horsefield has just arrived in the gallery. 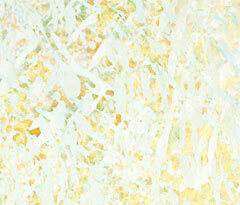 A survey exhibition of John R Walker's paintings will be at Moree Plains Gallery during October. The exhibition opening is on Friday 10 October, from 5:30 to 7:30pm. 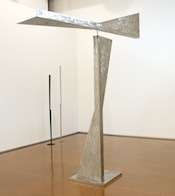 A great review by Peter Haynes of 'Action Stations: Peter Maloney and Louise Paramor' at CANBERRA CONTEMPORARY ART SPACE until September 28. Gina Fairley rates 'Balance' 4/5 on ArtsHub. Thanks Gina! A vibrant painting by Peter Maloney features in "Loose Canon", an exhibition curated by Daniel Mudie Cunningham at the new Artbank HQ on Young St in Waterloo. On display until November 15 2014. Exhibition runs until 27 September 2014. 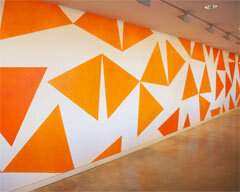 Helen Eager's wall painting 'Tango' has been reinstalled at the Museum of Contemporary Art. It's as striking as ever and great to see it in this new context! 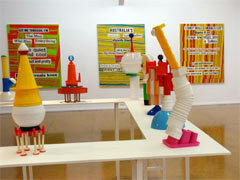 Find two concertina artist books by John R Walker in the Amaze Gallery at the State Library of New South Wales. 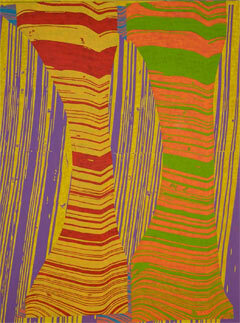 Newcastle Art Gallery places the work of two great Australian artists side by side in an exhibition spanning the 1960s to recent years. 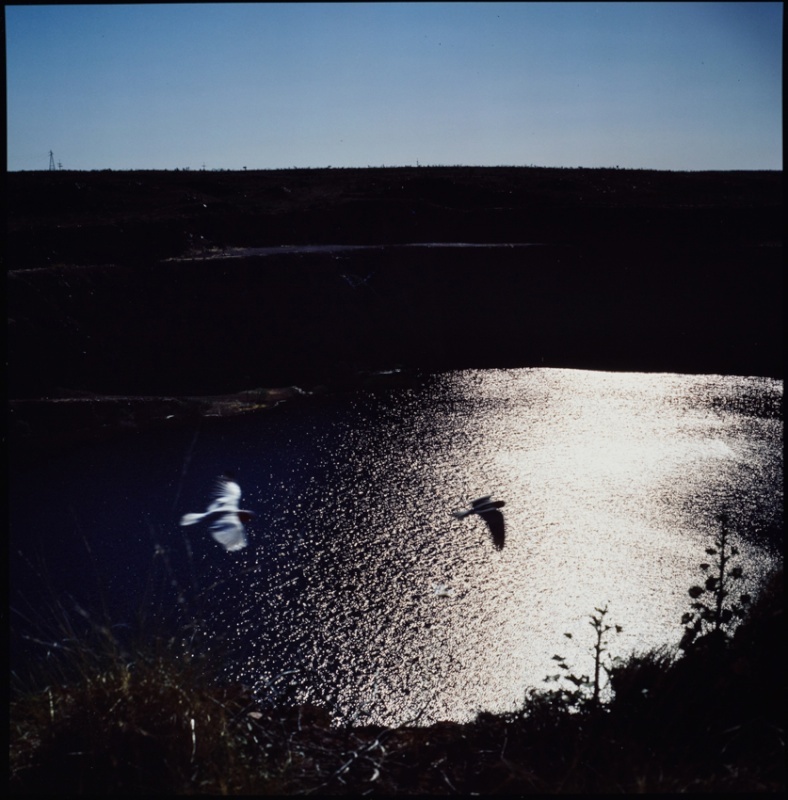 “Action Stations”, an exhibition of recent work by Peter Maloney and Louise Paramor, will be at Canberra Contemporary Art Space from 22 August - 27 September 2014. Open to both established and new writers for a review of an exhibition at any of the permanent galleries of 2 Danks St from 12 July to 4 October 2014. 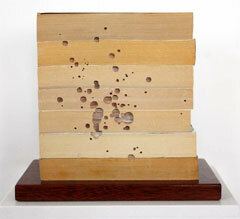 The main award is $1,000 and the opportunity to publish a reveiw in Art Almanac. This year, Artist Profile also introduces a new category, offering an alternative prize of $500 for a review which shows flair and potential and/or stretches the boundaries of current reviewing. 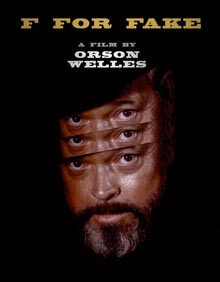 Mandy Chang, the ABC's Commissioning Editor for the Arts, introduces Orson Welles' 1973 directorial finale, F for Fake. Mandy Chang also recommends the new series Art + Soul 2 starring Hetti Perkins on ABC1 at 8:30pm on Tuesday 8 July. There was a tremendous institutional response to the books in our last exhibition, with works by Simryn Gill, Tony Coleing and Helen Eager all going into public collections, including the Art Gallery of New South Wales, Queensland Art Gallery and National Library of Australia. 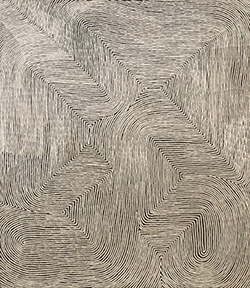 Follow the link below to view Sharne Wolff's review of Yukultji Napangati's show. 17 June until 10 August 2014. A celebration of the life of Peter Elliott, great patron of the visual arts and friend to many, will be held at The Great Hall, University of Sydney, at 4pm on Wednesday May 14. 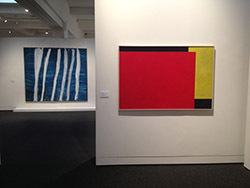 The touring exhibition Masterpieces from the Peter Elliott Collection is at Orange Regional Gallery until June 15. 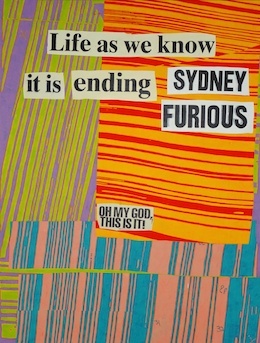 Sydney, closes on Saturday 26 April. Click here to see Online catalogue. 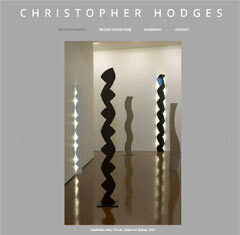 Christopher Hodges – brand new website! 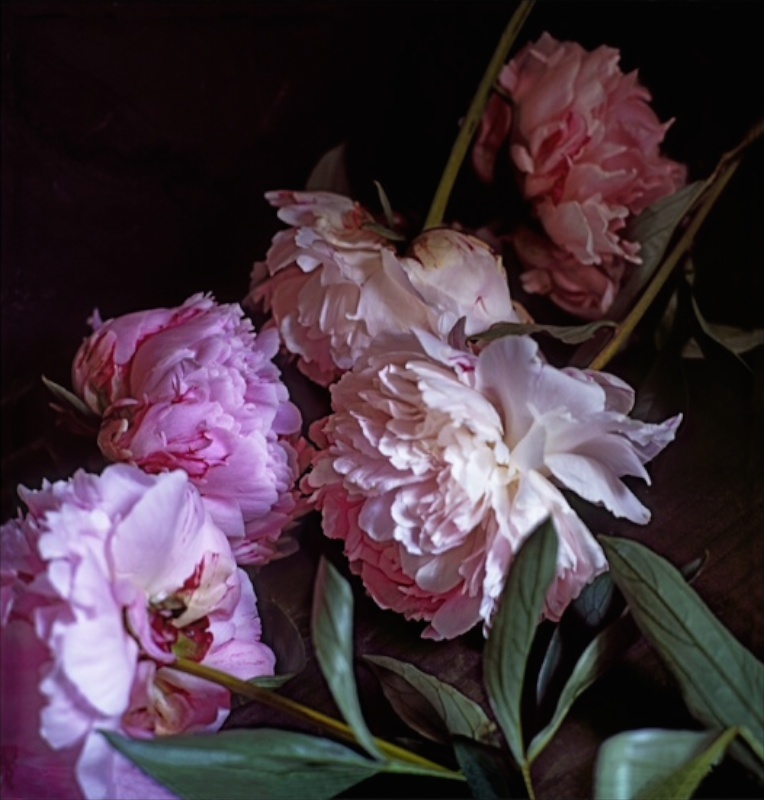 Find their work at the National Art School Gallery from 11 April until 15 May, 2014. 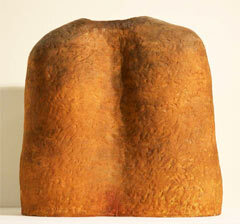 This Saturday 15 March will be the last day of Liz Coats’ exhibition 'Streaming' - not to be missed!